KeepVid Video Converter is a software program that allows you to convert media files from and to different formats. The process is simple and easy. 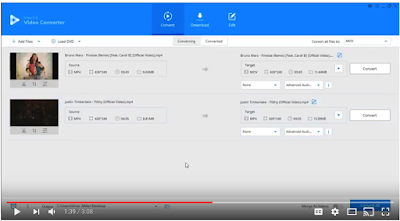 You can either user the online converter directly from the website or download the software into your Windows or Mac computer (trial version is free) then register and start working on your videos. Besides converting videos, KeepVid provides you with a number of editing tools to trim, crop, add watermarks, add subtitles, and apply effects to your videos prior to their conversion. KeepVid Converter allows you to convert the following: any video to MP4 files, any audio to MP3 files, any video to AVI files, and any video to MOV files. It also offers guides to help you learn how to use each of these features. Check out the ‘Get Started’ to learn more. Note that KeepVid Convert works in almost all the popular web browsers including Chrome, Firefox, and Safari. You can also use this tool for playback on any iOS or Android device. The strength of KeepVid Video Converter is that it is easy and simple to use. No advanced video editing experience is required. 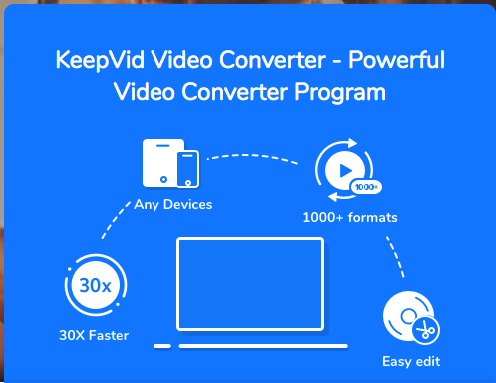 Watch the video below to learn more about how KeepVid Converter works.